A sharp rebuke and analysis of present day law and order situation in India, authored by one of the most prominent member of our society today, reveals the disparity in execution of laws and trials for two far-reaching individuals, one a 77 years old saint, now reduced to commute on wheelchair is denied bail whereas a criminal turned politician already convicted and awaiting trials under various cases is handed bail on a platter. Why has Judicial System and the Police been reduced to this opposing channels of execution viz being forced to let off a criminal walk-free while intruding over human rights of a septuagenarian saint, writes and provokes Kailash Vijayvargiya. 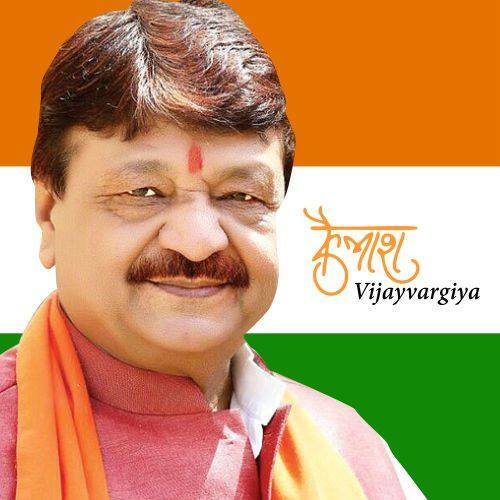 The article by Kailash Vijayvargiya, BJP's National Secretary is titled, ''Sant Jail Mein, Don Bahar" (literal translation, Saint inside Jail while Criminals walk free). 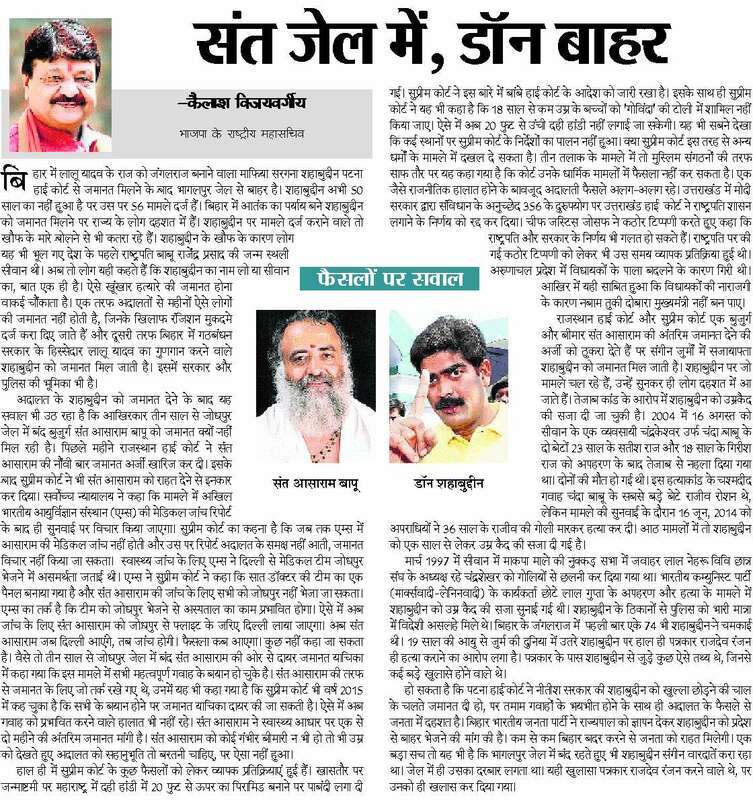 Below is the reproduction of the article in English, which was originally published in by Dabang Dunia Newspaper in Hindi. Shahabuddin, the kingpin criminal responsible for highhandedly making Lalu Yadav's stint in Bihar as Jungle Raj is now out from Bhagalpur Jail after getting bail from High Court. Shahabuddin who is not yet 50 years in age, has amassed 56 Criminal cases registered on himself. Citizens of Bihar are plunged in panic and fear with bail of Shahabuddin, the synonym of terror in Bihar. The people responsible for putting up case against Shahabuddin are now too distraught to even speak. Due to the horror struck by Shahabuddin, people have even forgotten that Siwan was also the birth place of the country's first President, Babu Rajendra Prasad. Now people say, taking Shahabuddin name is as good as speaking of Siwan and vice-versa. Bailing out of such dreaded murderer is indeed surprising. On one hand courts are not giving bail since months to such people , who have had cases put on them out of sheer enmity whereas on the other hand, we have Shahabuddin freely praising Lalu Yadav, member of star alliance-government in Bihar getting Bail. The bail also assimilates doings of Bihar's government and Police. 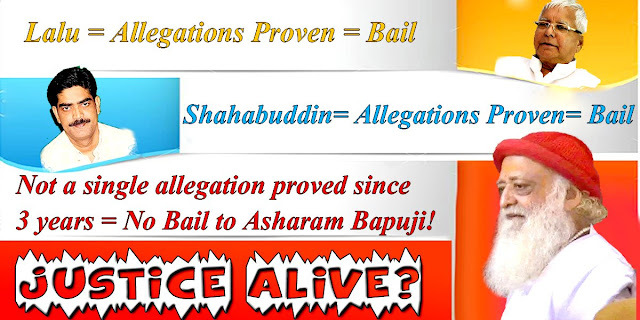 The next question arising after handing over of bail by the court to Shahabuddin, is as to why has old aged saint Asharam Bapu, jailed in Jodhpur since three years not given bail ? Last Month, Rajasthan High Court rejected bail for Sant Asharam the ninth time. After that, Supreme Court too denied from giving Asharam Bapu any relief. The SC had said, any plea or thoughts would only be entertained after All India Institute of Medical Science (AIIMS) submits its medical investigation report. Its SC ruling that until AIIMS undergoes its medical investigation, and a copy of the medical report is presented before the court, no plea for bail can be entertained. AIIMS had also expressed its censure over sending a panel of members to Jodhpur for investigation. The reason cited by AIIMS to Supreme Court was, a panel of seven members has been constituted and sending all seven members to Jodhpur was not possible given day-to-day activities of Delhi AIIMS Unit. So, now in this case, Sant Asharam would have to travel in flight from Jodhpur to Delhi. Now whenever Sant Asharam would come to Delhi, Investigation would ensue. When would results finally come. Nothing can be said! One of the arguments cited in bail application from Sant Asharam lodged in Jail since three years is, all primary witness have already completed their testimony. The argument put forth from Saint Asharam also entails that in 2015, Supreme Court itself had ruled out that bail application can be filed after trial completion of all primary witnesses. Such that, any situation to influence witness is now out of scope. Even in absence of any critical illness, Saint Asharam could have been awarded bail by court seeing his old age on humanitarian grounds, but that did not happen. Recently, few rulings by Supreme Court has attracted widespread comments. Especially, restrictions on constructing Dahi-Handi Pyramid in Janmashtami celebrations in Maharashtra from exceeding 20 feet in heights has been put. Supreme Court has kept intact the rulings of Bombay High Court on the same. In addition to this, the Supreme Court has also barred the inclusion of less than 18 years old Gopala in these human pyramid group. Thus, Dahi Handi exceeding 20 feet in heights could not be put. While, many people could also see that Supreme Court's rulings were not observed at various places. Can Supreme Court interfere with such brazen attitude in internal rulings of other religions? In the case of Triple Talaq, Muslim Representatives have summarised and answered in short stout words that - Court cannot interfere in matters of their religious rulings. In spite of alike political manoeuvres, court have dished out two separate judicial stands! Imposition of President Rule in Uttarakhand by Modi Government has been revoked by Uttarakhand HC citing misuse of Constitutional Clause 356. Commenting harshly over this, Chief Justice Joseph had rebuked - 'Decisions taken by President and Government can also be wrong'. The harsh rebuttal over the President had invited widespread outcry then. Arunachal Pradesh had fallen due to switching of sides between legislators. Eventually, it was so observed that Nabam Tuki could not get re-elected to post of Chief Minister due to animosity, his party legislators held for him. Rajasthan High Court and Supreme Court reject bail application of old aged and ailing saint Asharam but Shahabuddin alleged under heinous crimes is let off. The cases that are plying on Shahabuddin are such that, people are frightened by just listening to the details. Shahabuddin has already been convicted and punished with Life Imprisonment. On 16th of August, 2004 two sons of local businessman Chadrakeshwar or Chanda Babu of Siwan, were abducted and bathed in Acid. Both dead. The primafacie eye-witness of this entire episode - Chanda Babu's eldest son 36 years old Rajiv Roshan was murdered on 16 June, 2014 after being shot at by assailants, while the trial was in progress. Eight of the cases against him have resulted into sentence ranging from 1 year to life imprisonment for him in Jail. In March of 1997, Leader of Jawahar Lal Nehru Student Union, Chandrashekhar was riddled with bullets shots at Nukkad Sabha (Street Corner Meeting) of CPM; Communist Party of India (Marxist). Shahabuddin was sentenced to Life Imprisonment in case of abduction and murder of Party Volunteer, Chote Lal Gupta of CPI; Communist Party of India (Marxist–Leninist). Police recovered large amounts of foreign branded fireworks from dens of Shahabuddin. The credit to first public use of AK-74 in Bihar's Jungle Raj also goes to Shahabuddin. Entrant in world of criminality since 19 years of age, Shahabuddin was most recently also named for alleged involvement in murder of Journalist Rajdev Ranjan. Journalist had gathered some crucial info which could have exposed Shahabuddin before all. Its probable that High Court was forced to give bail to Shahabuddin due to clever planning by Nitish led government, but court's rulings has spread widespread disconcert and fear amongst general public as well as the eye-witnesses. Bihar Unit of BJP; Bhartiya Janata Party has submitted an memorandum to Governor of the State requesting Shahabuddin to be led out of Bihar. At least, remaining citizens of Bihar would remain in peace with denial of (his) entry in Bihar. One big truth of this case is also this, that Shahabuddin was planning and executing various crimes while being lodged from Bhagalpur Jail. 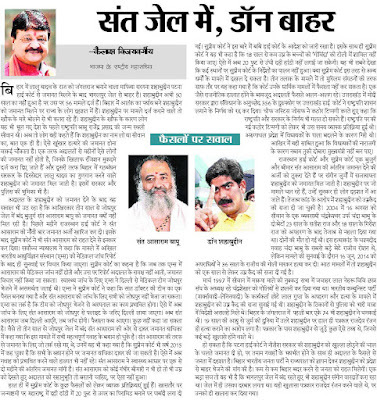 This was the big revelation that was planned by Rajdev Ranjan, but instead the journalist himself was executed.